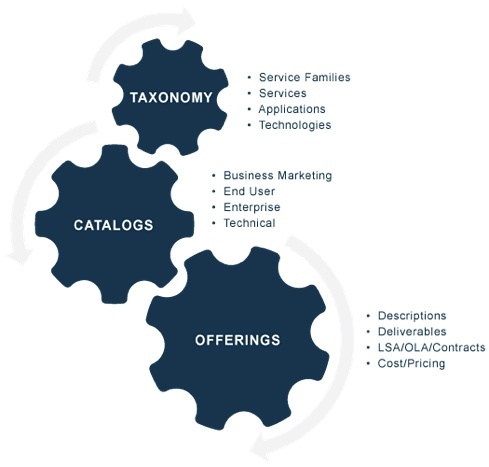 In reality the Service Portfolio is all of these and they work together forming an interconnected set of information used to manage service investments. Notice I said “service investments.” The Service Portfolio is primarily a capability to assess, plan and make investment decisions on what services to offer in a manner that allows you to sell those services to your customers. Yes, sell, because at the end of the day someone is buying your services, whether they know it or not. It’s much better to sell and articulate value in the process. Using the Service Portfolio to make investment decisions requires the development of a deeper understanding of the elements that make up a service. Stop Defending Your Budget – Start Selling Your Service series (Part 3). In our next installment we’ll drill a little deeper into these areas and look at a Service Portfolio framework that will provide guidance on building a fully functioning Service Portfolio.